Clear acrylic business card holder. 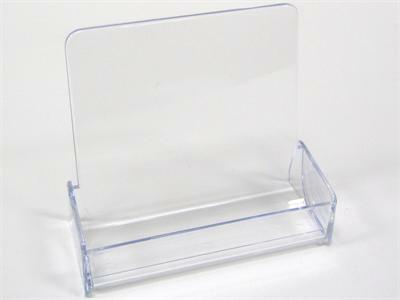 Proudly display your cards in professional style with this clear, and durable card holder. Slant design makes it so your cards stay in place. Stands on all flat surfaces. Your countertop brochure display will stand out like never before! ON SALE...Double sided informational Permanent Cosmetics brochure to give to clients looking into permanent makeup. Each unit contains 50 brochures.